We are your experts for Clarksville Mortgage Loans. Eagle Home Loans is the only locally owned and operated mortgage company in Clarksville. We take pride in working with first time home buyers. We are the experts in the Clarksville Mortgage market. We have closed hundreds of Conventional, VA and FHA Mortgage Loans. We have the experience needed to structure your mortgage loan specifically to Montgomery County. 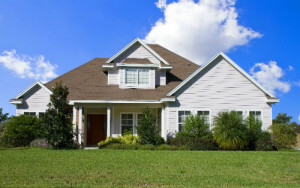 Did you know that it is standard and customary for seller’s to pay for all of the buyer’s closing costs in Clarksville? Most lenders from other markets will not know this. They will quote you a higher interest rate in order to give you a credit for these closing costs to help defray the out of pocket expense. We will always quote you the lowest rate AND the seller will pay for your closing costs. Eagle Home Loans does face to face loan applications. We provide our customers with personal service and one on one customer interaction. You will never feel like a number or feel judged by your credit score or income when applying for a Home Loan with us. Our reviews speak for themselves! Our customers love us and the way we do business. Clarksville is growing at a rapid pace. We expect home appreciation to accelerate in the near future. We think purchasing a home in Montgomery County and its surrounding areas could be an outstanding investment. Not just for your peace of mind but for your wallet as well. Applying for a mortgage loan with Eagle Home Loans is the first step in the home buying process. What are you waiting for? Please feel free to continue to explore our website. It has many answers to frequently asked questions about the home buying process. When you think you are ready to get pre-qualified to purchase a home, fill out a secure application or call us at (931) 896-2903. Get a Clarksville Mortgage and Own this House today! We specialize in Clarksville Mortgage Loans for first time home buyers. Eagle Home Loans services the Middle Tennessee and Fort Campbell communities. Contact your local expert, Anthony Quail, at 931-896-2903 to get pre-approved today. Check out Anthony’s reviews for Clarksville Mortgage Lending.